The new Sony Cyber-shot RX100 VI is a travel zoom camera par excellence, taking the RX-series in an entirely new direction with its 24-200mm lens and easily outperforming its main rivals thanks to all of its cutting-edge tech. It is very expensive, though, and also less attractive to more serious photographers thanks to the slower-aperture lens, so rather weirdly it may prove to have less wide-spread appeal than previous models in the range. 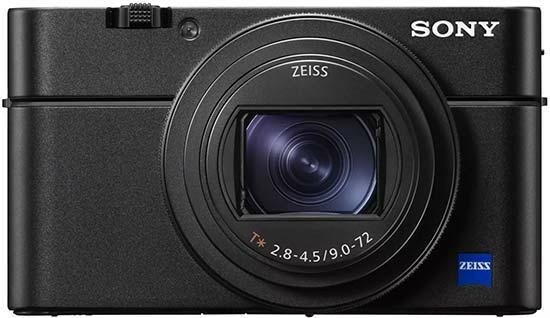 Still, there are no other pocket cameras that are as technologically capable as the Sony Cyber-shot RX100 VI, so if you want the best compact camera that money can buy, this is currently it. The new 24-200mm literally opens up a whole new vista, allowing you to capture everything from ultra-wide-angle landscapes to close-up candid portraits, all with a camera that you can carry everywhere in a trouser pocket or small bag. Being able to zoom to 200mm and shoot at 24fps with excellent auto-focusing, even of moving subjects, makes the RX100 VI even more versatile. The downside to the new lens is the inevitably slower maximum apertures, which results in noisier images as you have to shoot at higher ISO speeds. There are a few other issues with the RX100 V, though, which also make it slightly less than perfect. Even if you can ignore the stellar asking price, which has reached a new high for the RX-series, the implementation of the new touchscreen and Bluetooth connectivity both feel rather unfinished, while the 220-shot battery life is just too short for a camera that can shoot 24 frames per second. The resolution of the LCD screen has also dropped slightly, and the lack of an ND filter is problematic for shooting video in bright daylight conditions. We'd also really like to see Sony implement some kind of hand-grip, rather than relying on the extra purchase of an optional accessory. Whether the Sony Cyber-shot RX100 VI is the right compact camera for you ultimately comes down to the lens - some will love the extra reach, others will bemoan the slower apertures and lack of ND filter. And of course the eye-watering price will play a big part, too - $1200 / £1150 / €1300 buys you a decent mirrorless camera or DSLR with better image quality than the Sony Cyber-shot RX100 VI's 1-inch sensor, although obviously not the same portability. The fact that the Mark V version, with its faster 24-70mm lens, continues in the range at a more affordable price-point is also an important factor, and you should also take a close look at the Panasonic Lumix TZ200/100 cameras if you want a much more affordable, though less capable, travel-zoom camera.